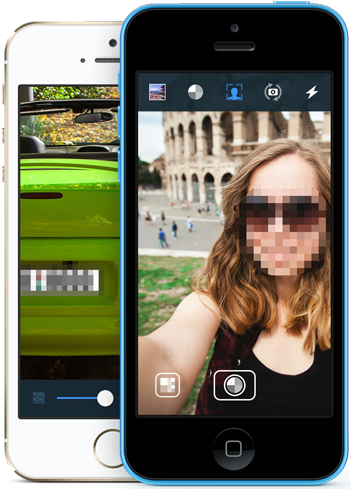 Take censored photos in seconds. Configure censored area using familiar gestures. Touch the photo! Censor faces using automatic Face Detection. Clean and easy to use interface. Portrait, landscape, it's up to you! With interactive tutorial on first launch, you will become censoring master in seconds! You can see the photo in realtime preview exactly the same as it will be saved. 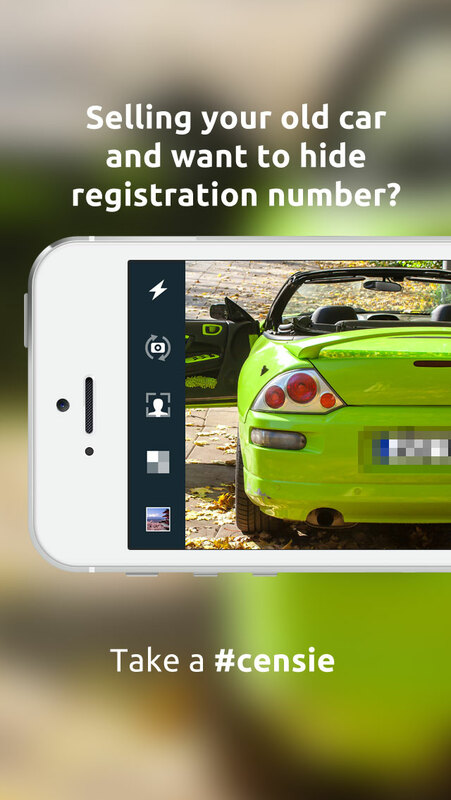 Configure the photo in realtime preview. Take it. Done. Multiple Shapes is available for censored area: Rectangle, Circle, Ellipse. No personal information which might be used to identify yourself is saved in a photo. 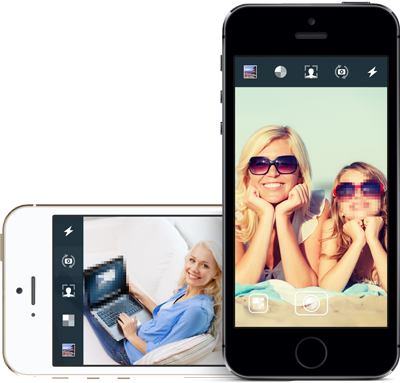 In a world where nothing is secure enough and any of your private photos can appear online without any chance for you to stop its distribution, Censie comes with a solution. Using Censie you can take a censored photo directly from the camera, without any intermediate files or postprocessing needed. 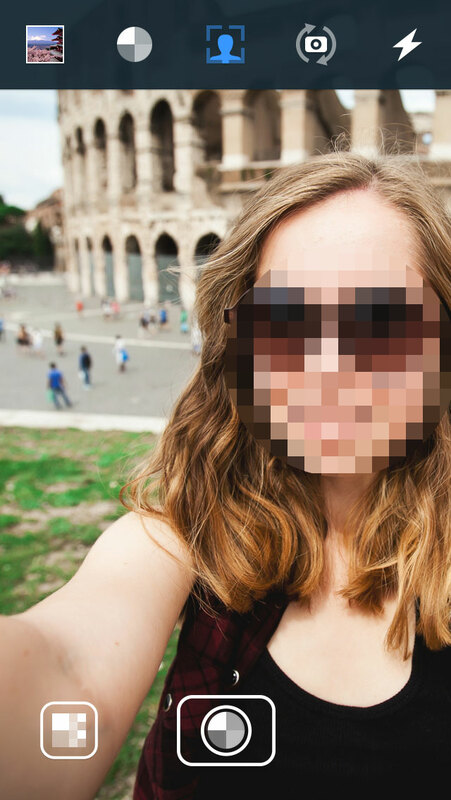 This is not only safe since there is no existing non-censored copy of your photo, but also very convenient and quick. 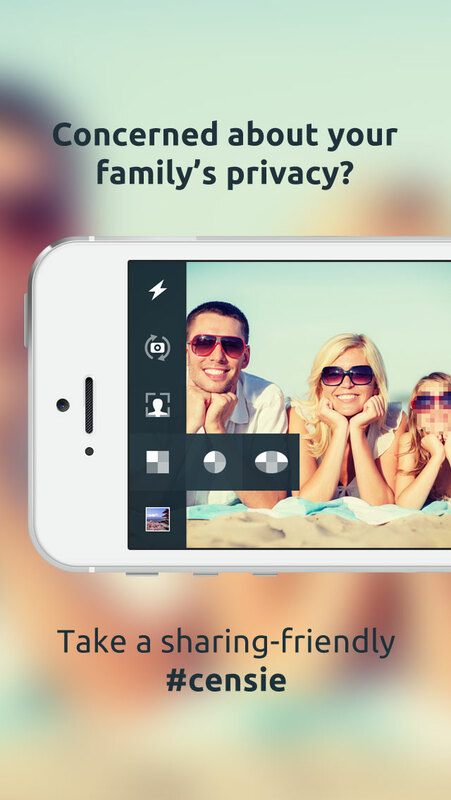 If you're concerned about privacy of yourself or your loved ones, Censie is here for you! Unique Idea. The only app of its kind on App Store. Made with love by privacy concerned people for like-minded. Find your own usage and let us know. We are really interested. Using Censie is so funny and addictive!